3D printing is helping to improve heart surgeries. A 3D printed heart allows surgeons to investigate the damaged heart before going in for surgery. While in the past, the only option would be to go into heart surgery without knowing what might be encountered, with the 3D printed model of the damaged heart, surgeons know exactly what to prepare for before surgery. This makes surgeries safer, and gives the patient’s loved ones comfort. 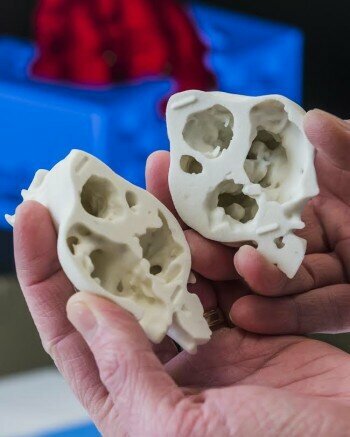 The 3D printed heart, based on CT and MRI scan imagery, allows surgeons to see and feel the heart, conditions, and defects before starting surgery. This not only improves the planning process for surgery, it also makes the operation much safer. Dr. Bramlet used 3D printing to aid in the heart surgery of 6-month-old Luke Snodgrass. The 3D printed model of Luke’s heart allowed surgeons to notice an addition defect of the heart that changed the course of surgery. The nearly 12 hour procedure was, as predicted, a success. Dr. Bramlet now hopes to expand the concept and build an online library of 3D printable hearts so future physicians can learn more from the collection of heart defect images. To put Dr. Bramlet’s plan in place would involve obtaining high quality MRI and CT scans from across the country and producing 3D models of the hearts. It will require a joint effort from doctors across the country to make such a library work.